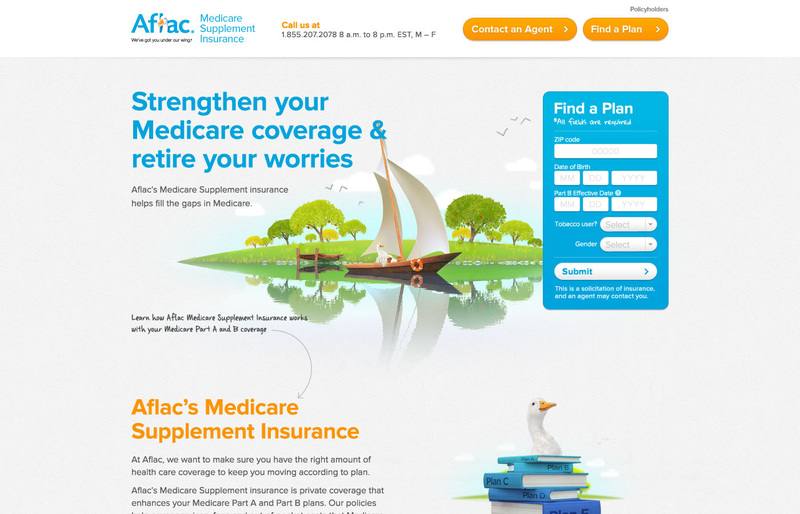 The launch of Aflac’s first-ever Medicare Supplement insurance meant that the company needed an online hub to educate potential customers. It had to communicate complicated information about Medicare and Medicare Supplement insurance and help customers find the right plans for them. The experience had to be easy for Seniors and their families to navigate and understand. 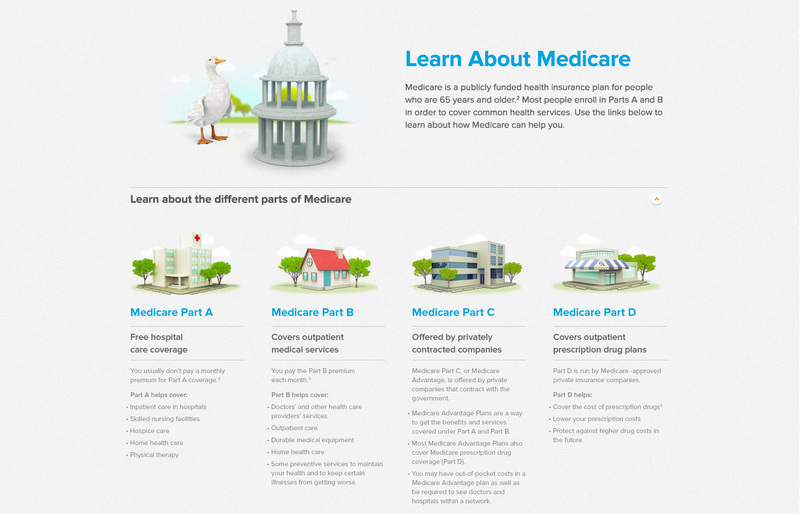 The new hub is a comprehensive resource to learn about and shop for Aflac’s Medicare Supplement insurance. Constructed in HTML, the site works beautifully on both desktop and tablet. It’s easy for users to shop for plans by following a simple, four-step process. Detailed information is clearly visualized through interactive charts. 3D imagery throughout the site helps organize and enhance the experience, steering away from the clichéd “smiling senior” stock photography that usually frequents Medicare advertising. 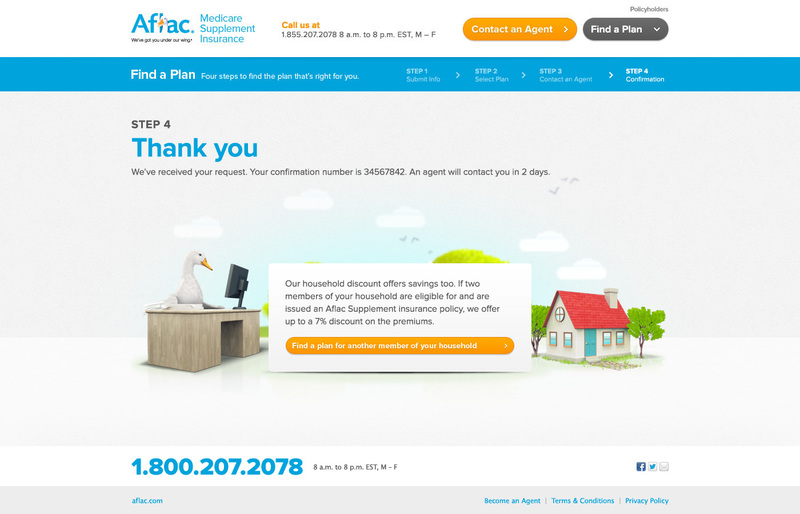 Now Seniors can enhance their Medicare offering through Aflac with an easy to use online tool.